The Secretariat welcomes Chrysanthe Loizos, the newly-appointed Communications Officer for the Assembly, to its ranks. Over the past fifteen years, Chrysanthe has worked for a number of nonprofit organizations, primarily in the humanitarian and social service sectors. 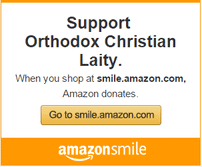 Most recently she worked for International Orthodox Christian Charities as International Programs Coordinator. In that capacity she provided programmatic support to IOCC’s field offices abroad. During her tenure with IOCC, she worked in a number of its offices, including Beirut, Tbilisi, and Banja Luka. She has a bachelor’s degree in history from American University and a master of science in conflict analysis and resolution from George Mason University. She is based in Cleveland, Ohio. 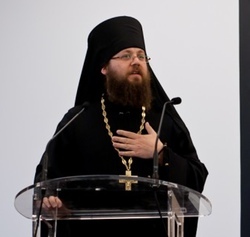 Also joining the Secretariat is the Archimandrite Irenei (Steenberg), a monk and priest of the Russian Orthodox Church (ROCOR). Fr. 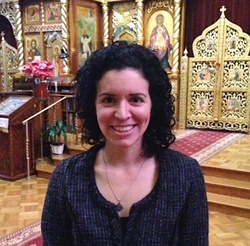 Irenei is a graduate of the University of Oxford, and is known for both his many academic achievements and his contributions, in research and translation, to the field of Patristic studies. He is the founder and moderator of the highly regarded website Monachos.net, and founder and Dean of the Sts. 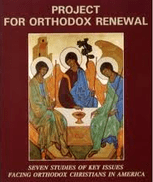 Cyril and Athanasius Institute for Orthodox Studies in San Francisco.